"Philip has been my insurance agent for the last 5 years and I can honestly say I have never considered moving to anyone else! I have referred numerous friends and family members to Philip and they have all been treated as if they were part of the Suppa Family. Philip is always monitoring my rates to make sure I am getting the best price." "My wife was involved in her first car accident after 43 years of driving on May 11, 2015. All I had to do was make one phone call to my insurance agent, Philip Suppa. He helped me stay calm and advised me what to do. In less than two weeks the car was fixed… good as new. One guy… one call, for all my insurances, Phil Suppa." "Phil has been our family Insurance Agent for the past 5yrs! He’s very dependable and is always there to answer any questions that we had and always gotten back to us in a timely manner. What separates Phil from other agents is that he treats his clients the way he would want to be treated. His clients are more than just a number! What began as a business relationship has now turned into a friendship and that is why we have an agent for life. We highly recommend Phil for all of your insurance needs!" "Philip was able to save my partner and I over $1000 a year by combining our homeowners and auto insurance policies for our two vehicles. He was amazingly easy to deal with, provided prompt responses to all of our questions, and always returned our phone calls quickly. It couldn’t have been easier to switch. Phil did all the legwork for us, contacting our current insurance companies and coordinating everything. If I had known how easy it would be and how much money Phil could have saved us, I would have switched years ago!" "I’ve never known an insurance agent as helpful and attentive as Phil. When I ran into problems with my previous insurer while buying a house in 2012, Phil found me an affordable alternative, and recently my rates even dropped thanks to him. If you are in the market for new coverage, give him a look." "I'm so happy I found Phil to help me with all of my insurance needs. I have switched both my car and homeowners insurance with his help and he's saved me so much money! The policies are comparable to the ones I already had, even better in some ways, and Phil took the time to go over every part of them so I felt comfortable switching. He's a great agent who is always there to help and you can trust his advice! Thanks Phil!" "Phil is great! He works with me, my family, and several of my clients. He saved me money over Erie, which I thought wasn't possible!" "Phil is the best! He called to tell me about a program he discovered that would save me $50/m on car insurance and a little on homeowners. It's great to have an agent who is looking out for me." "The best choice we made was the switch to Suppa Insurance! 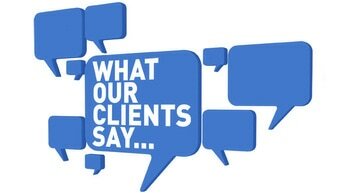 Phil is always a pleasure to work with and we trust him completely with our insurance needs." "Phil is by far the best insurance agent who is always there. I highly recommend the Phillip Suppa Insurance Agency." "Got a way lower quote for my car insurance and rental. Talked me through the whole thing and made sure I understood everything. Really went out of his way to help me and I appreciate it! Highly recommend Phil."